I absolutely love taking baths. 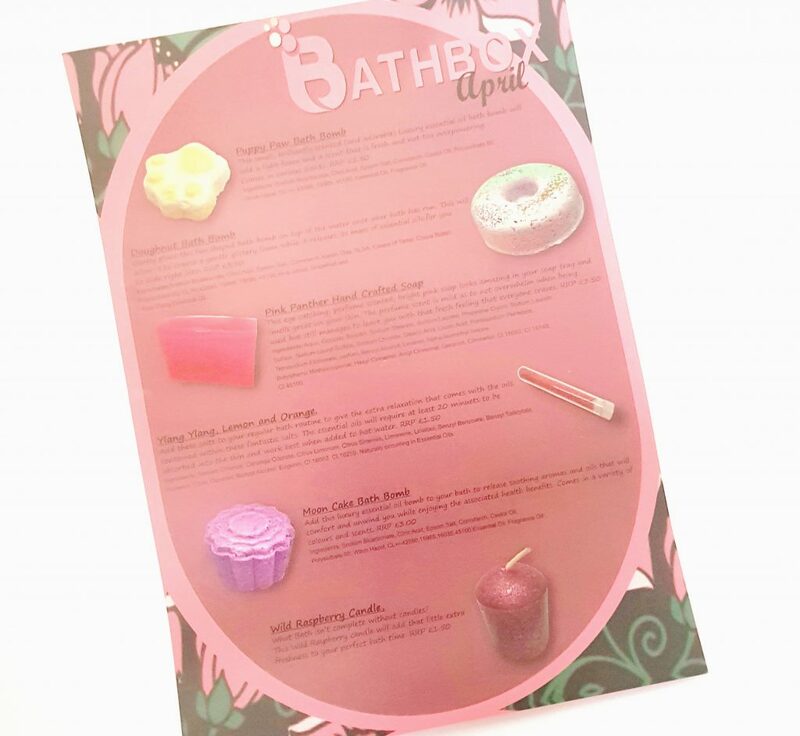 They’re the perfect way to relax after a long day, and a box devoted to goodies for baths is one of the best ideas I’ve every heard! 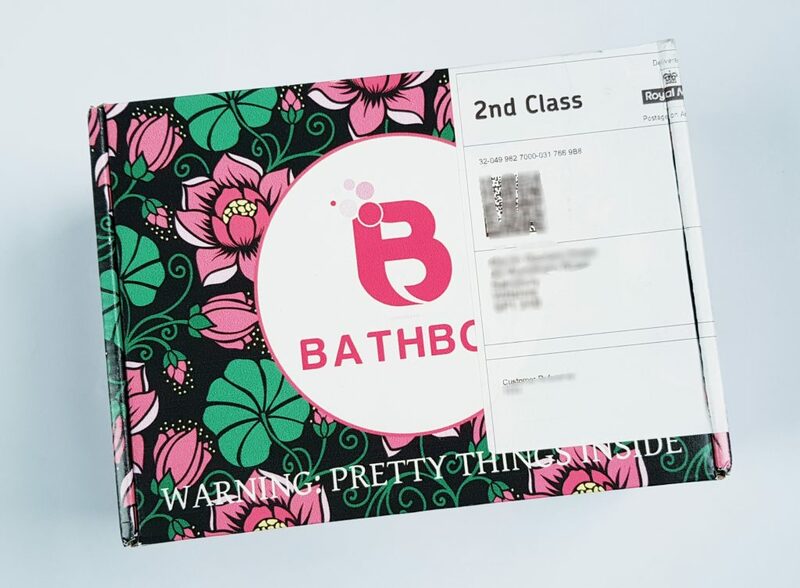 Every month you get a box full of lovely things to make your bath extra special. 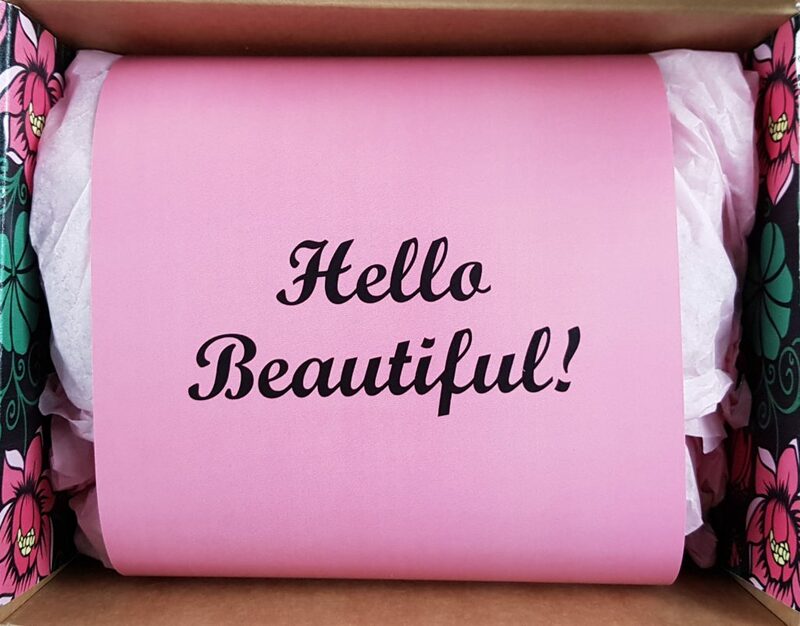 What a pretty mailing box! And I like that it says there’s pretty things inside, great anticipation. And this is what you see when you open it up. So cheerful! The menu is on the other side. Let’s take a closer look! 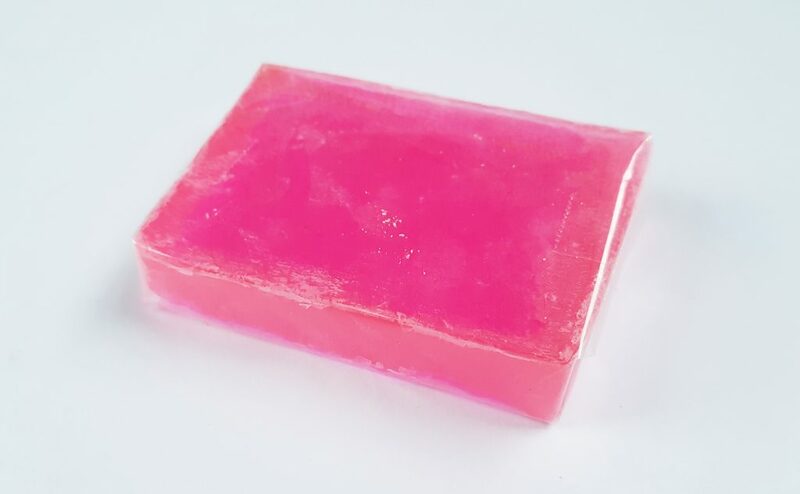 Starting out simple, this is Pink Panther Hand Crafted Soap. It’s a fantastic bright colour, with a lovely subtle scent. It feels very gentle on the skin, and should last a decent amount of time! 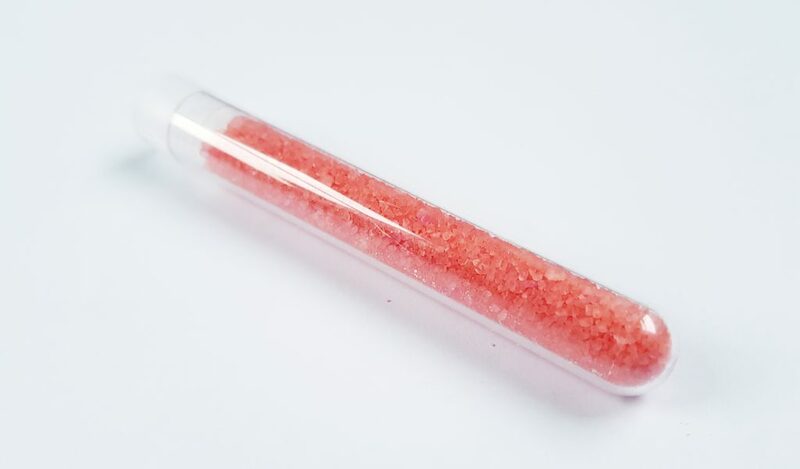 This tube is great presentation for these Ylang Ylang Lemon and Orange Bath Salts. The smell is lovely and fruity from the essential oils. The instructions also recommend that it takes at least 20 minutes for the oils to absorb, not that I need any excuse to sit in the bath for as long as possible! 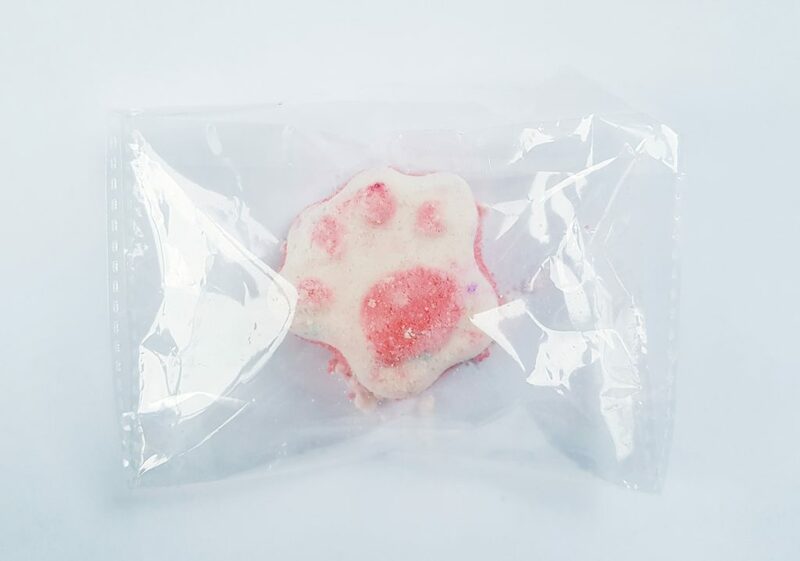 This cute little paw is a Puppy Paw Bath Bomb. It’s has a lovely scent, and even gives a few bubbles! Plus it looks gorgeous. 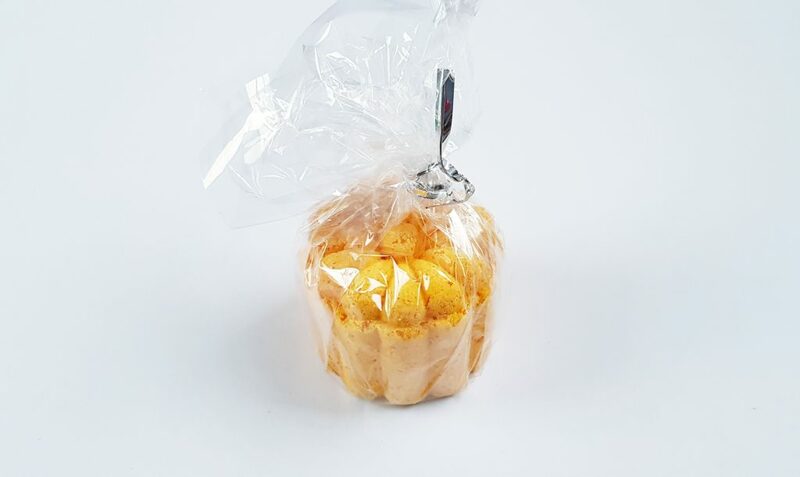 A Moon Cake Bath Bomb looks almost good enough to eat! This is really fun! 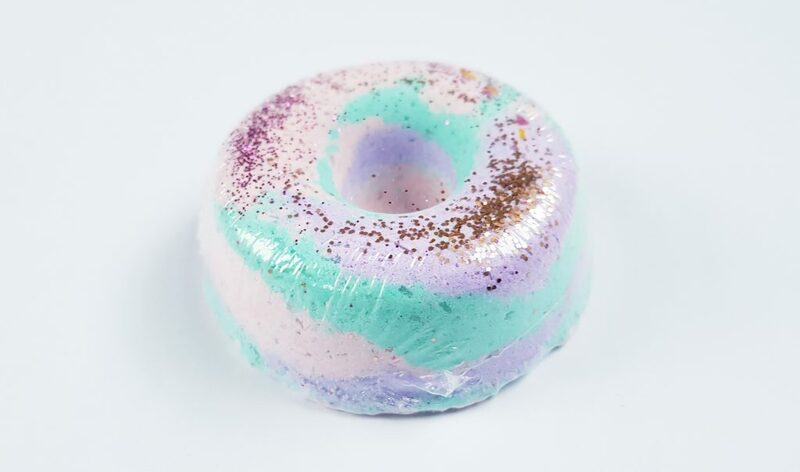 It’s a Doughnut Bath Bomb that you add to the bath after its run to create glittery bubbles! I think it looks like a unicorn, and it smells delicious. 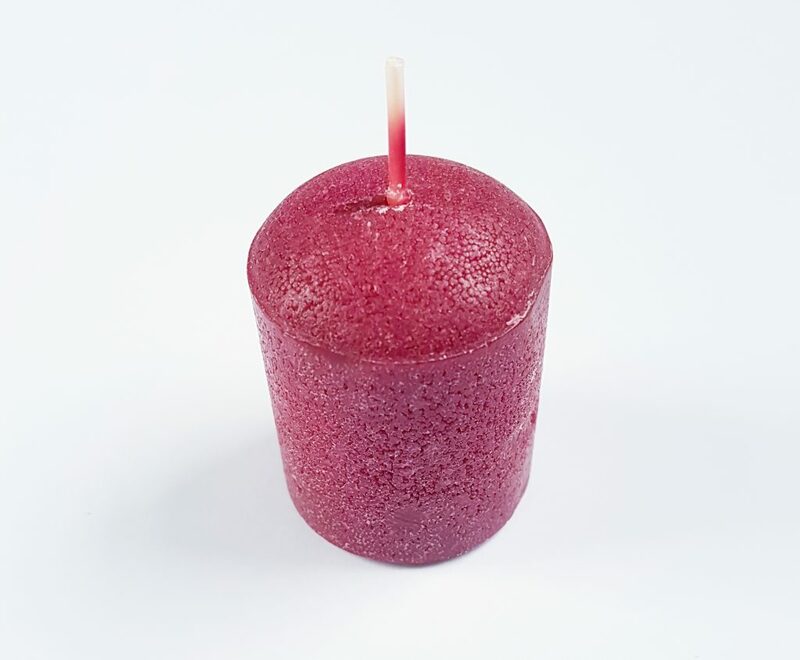 Finally, a Wild Raspberry Candle. I think a proper bath should always be by candlelight, so this is a wonderful addition! A bath is all about having some ‘me time’ and it’s a simple way to relax and enjoy yourself. I’d be happy with just a selection of bath bombs, but the soap is a lovely thing to have, as well as looking fantastic by the bath! I also really like the bath salts – I love bubbles, but a lovely scented bath is a huge treat. 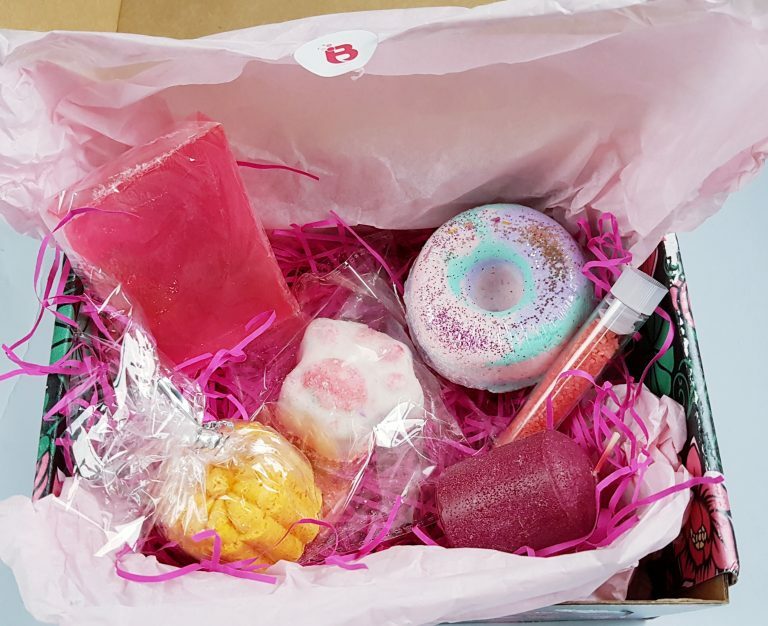 There are some delicious scents and smells in this box, and everything looks so pretty ! The presentation is beautiful, and just opening the box is enjoyable, from the cheery greeting to discovering the treats inside. The candle is a really thoughtful addition. I love candlelight baths and scented candles, and it will be lovely to have as an extra treat when all the bath bombs have been used, and much nicer than my usual plain unscented candles. The soap has gone straight into the bathroom for immediate use, as I don’t need to have a bath to use it. In an ideal world I’d have a bath every night, but alas, I don’t have the time! 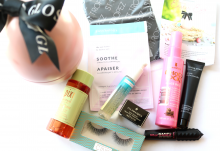 But I have the perfect excuse to run a bath as soon as possible as I’m dying to try everything out! My only problem is which lovely thing to try first. The price of £12.98 including p&p is entirely reasonable. There are RRPs on the menu, and the value is certainly over the total price of the box. 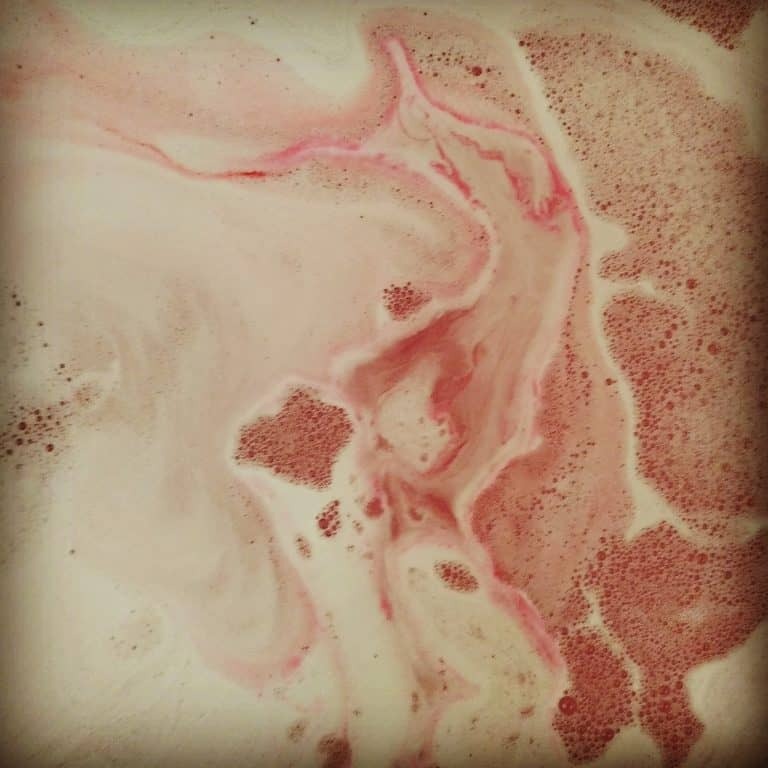 I often look at bath bombs in various shops, and am always surprised at how pricey they are, so I think for four baths, a candle, plus soap that will last far beyond one bath, the value is really very good. This would be a wonderful monthly treat for any bath lover, whether that’s you or for someone else! Personally, I’m keeping every single thing for myself, and looking forward to my next few baths being extra special! I think this is one of the most lovely boxes I've seen! It's all about a little bit of luxury at the end of the day, delicious scents, and indulgence. You even get a cake without the calories!